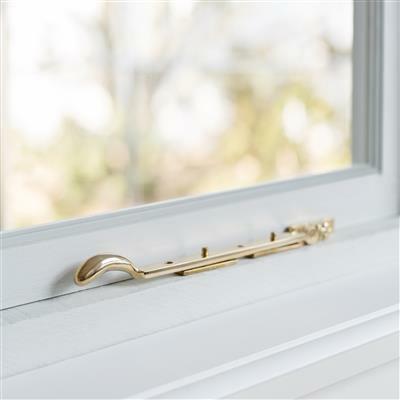 An elegant solid brass 25cm window stay, with a beautiful polished finish from our collection of window furniture, designed to enhance any traditional window and create the perfect look in your room at home. 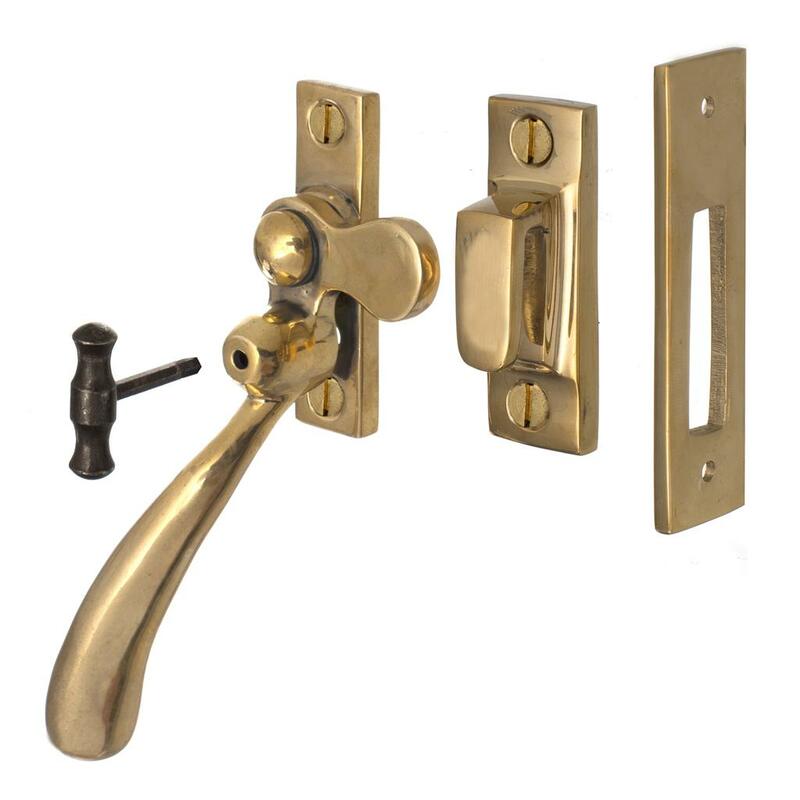 Its graceful design combined with subtle industrial tones highlights the detail in our hand-made designs and manufacturing processes. 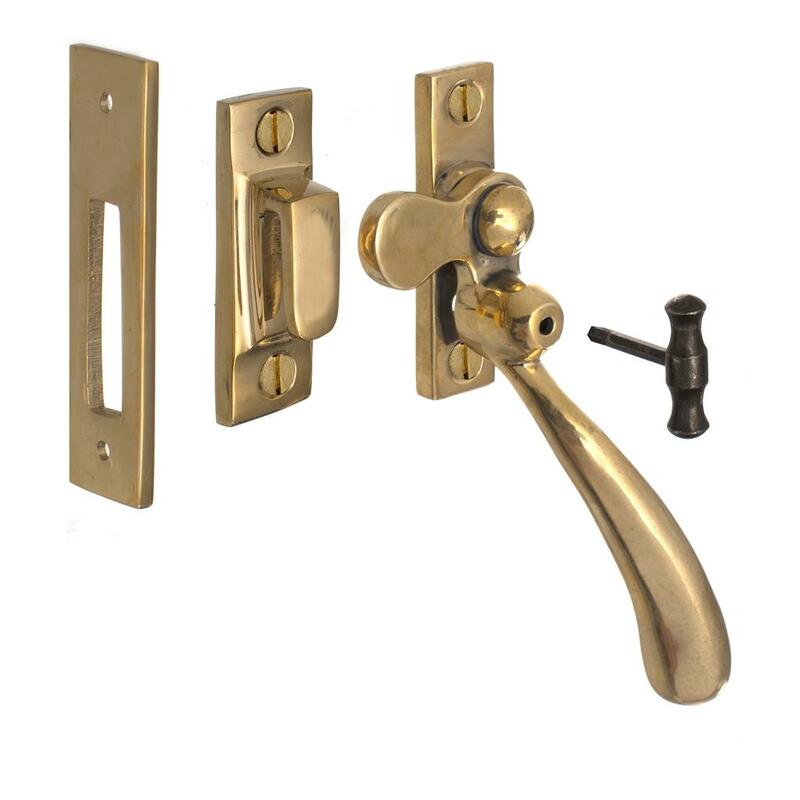 This is a classic look, crafted to suit both contemporary and traditional settings, ensuring a timeless elegance. The view from your window will be beautifully enhanced, finishing the room off perfectly. The London Window Stay is supplied with two keeps. 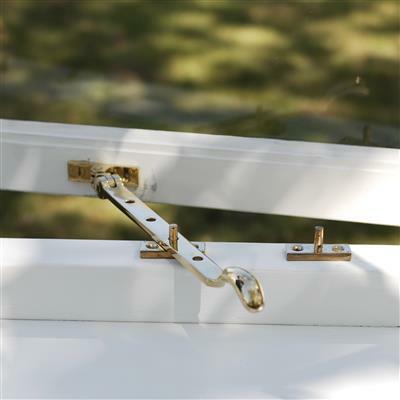 It is available in two more lengths and works with a variety of window sizes. 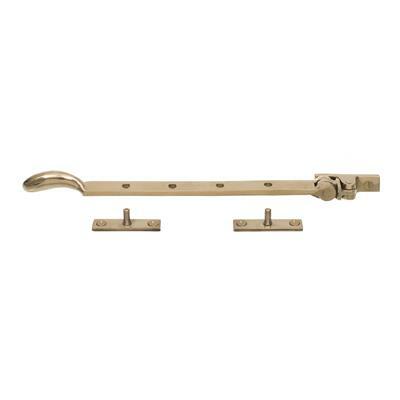 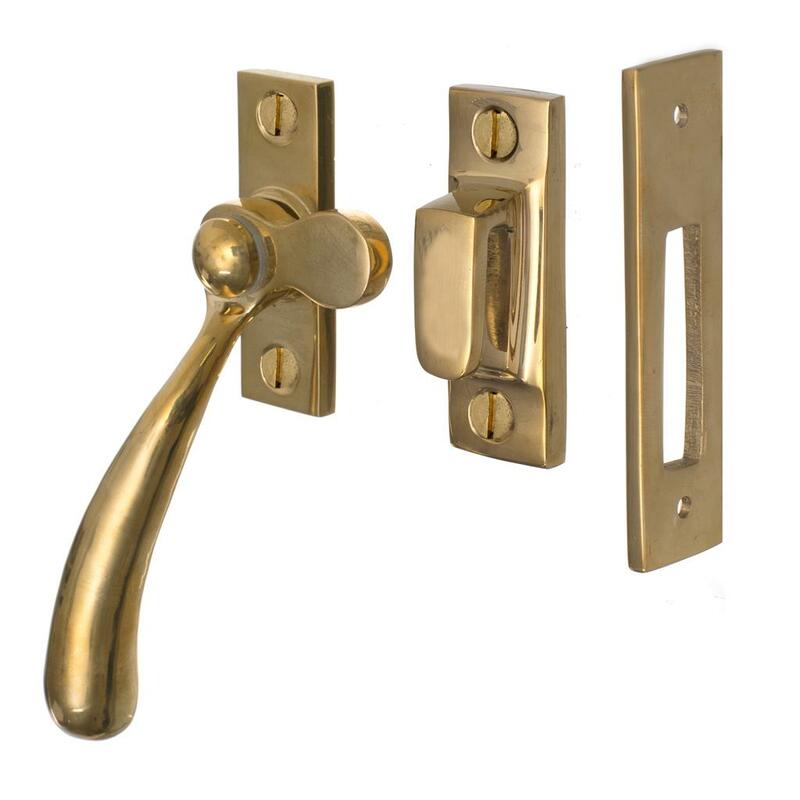 It is also available in an antiqued brass finish. 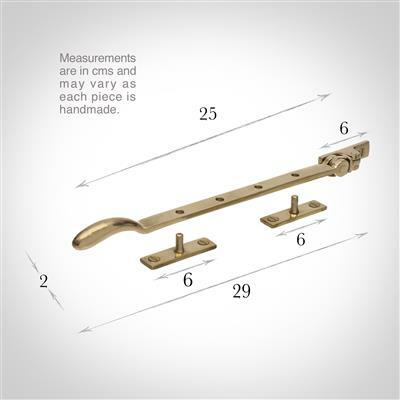 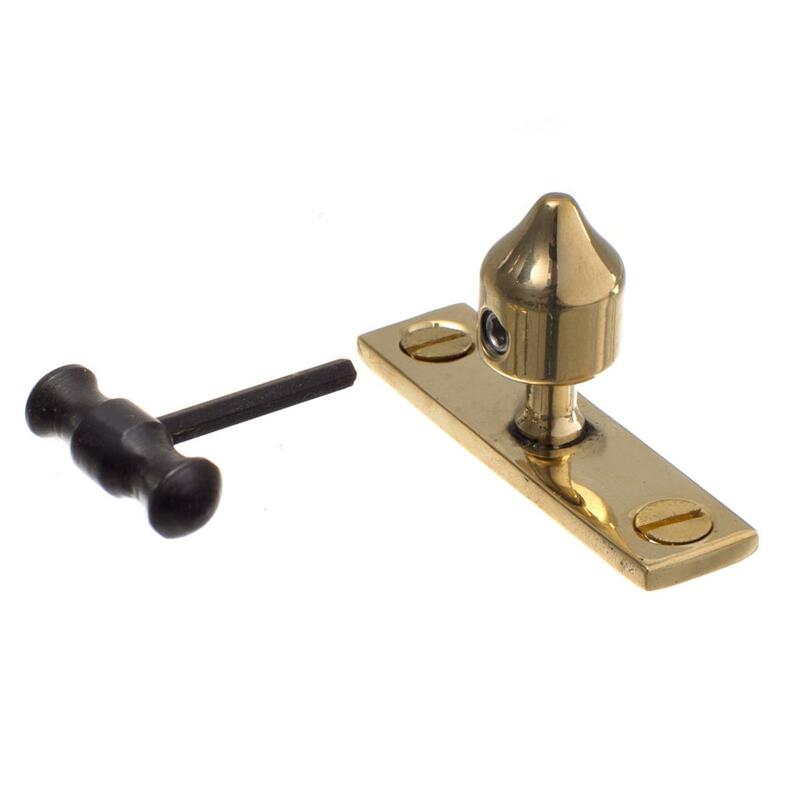 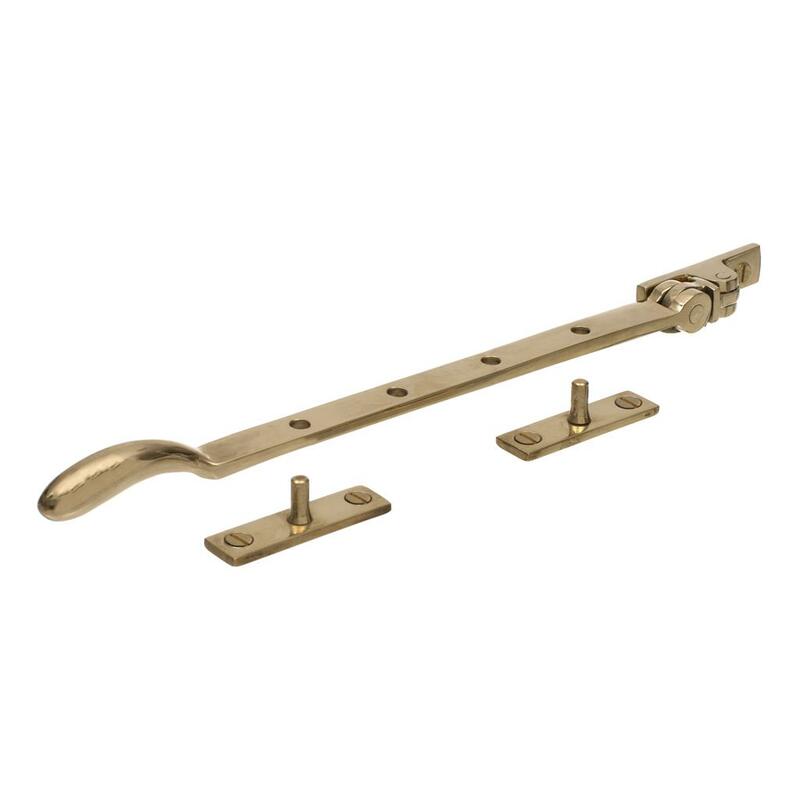 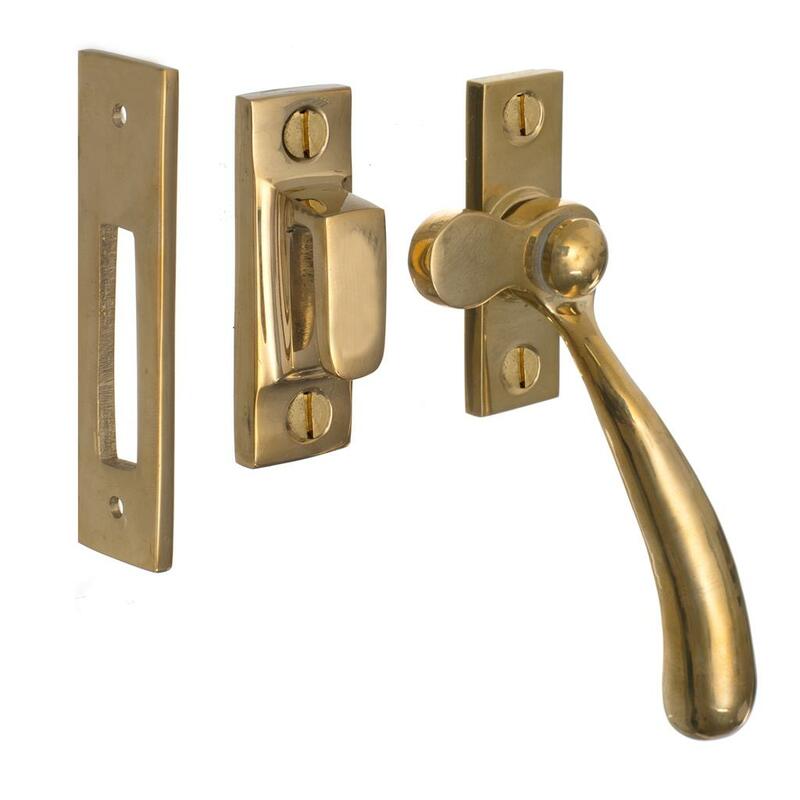 We make matching London window latches. A Lockable window stay pin may be purchased if required.